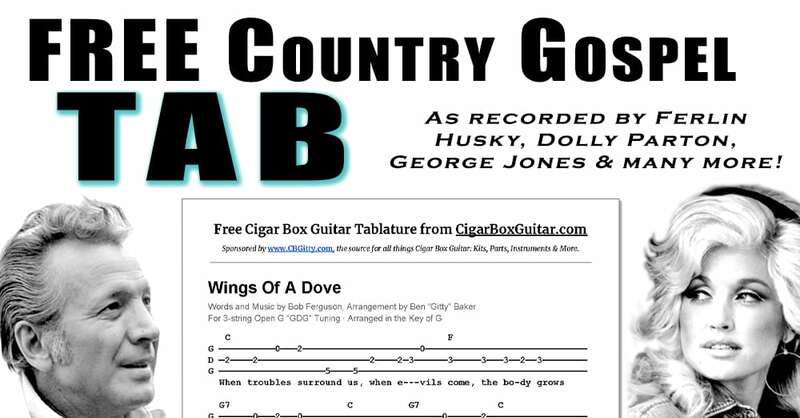 New Country Gospel Tab - Wings of a Dove - as performed by Ferlin Husky, Dolly Parton, George Jones & More! | The How-To Repository for the Cigar Box Guitar Movement! Next Next post: New Cigar Box Guitar Tab – Somewhere Over the Rainbow – as performed by Judy Garland, Iz & more!